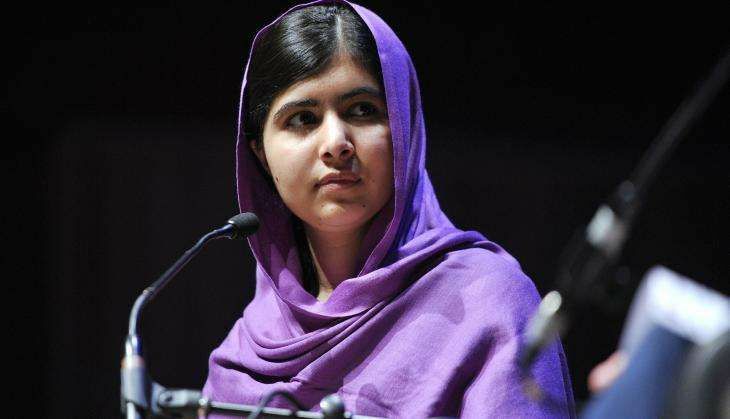 Nobel Laureate Malala Yousafzai and her family have become millionaires as a result of income from her memoir, which describes her life under the Taliban rule in Pakistan's picturesque Swat valley and appearances on the lecture circuit around the world. The 18-year-old Pakistani teenager who survived a shot to the head by the Taliban, had relived the incident and her life in the Swat Valley in I am Malala, co-written with Sunday Times journalist Christina Lamb. A company set up to protect the rights to her life story had 2.2 million pounds in the bank by August 2015 and made a pre-tax profit of 1.1 million pounds. Malala, her father Ziauddin Yousafzai, and her mother Toor Pekai are joint shareholders of the company, Salarzai Ltd, The Times reports. They are now based in Birmingham, where Malala - who became the youngest recipient of the Nobel Peace Prize in 2014 - attends Edgbaston High School for Girls. Her autobiography, which documents her experiences growing up in Pakistan's Swat Valley under Taliban rule and being shot while travelling home from school on the bus with her friends, was published in October 2013 by Weidenfeld & Nicolson in the UK in a deal reported to be worth about 2 million pounds. It has sold at least 1.8 million copies worldwide, according to Neilsen Book Research, including 287,000 copies in the UK, earning 2.2 million pounds in Britain in paperback and hardback sales. According to research by the US-based Institute for Policy Studies, Malala is also one of the higher-earning Nobel laureates, bringing in 114,000 pounds per speech, compared with 64,000 pounds for Desmond Tutu. Her father is an educator and human rights campaigner who resisted Taliban attempts to shut down his own school in Swat. Salarzai Ltd, set up in August 2013 and based in London, operates separately to the Malala Fund, a charitable organisation inspired by Malala and set up by the Vital Voices partnership to help girls complete secondary education in safety across the world. Most recently, Malala spoke in London last week to pay tribute to Jo Cox, the British MP who was stabbed to death earlier this month in her constituency.